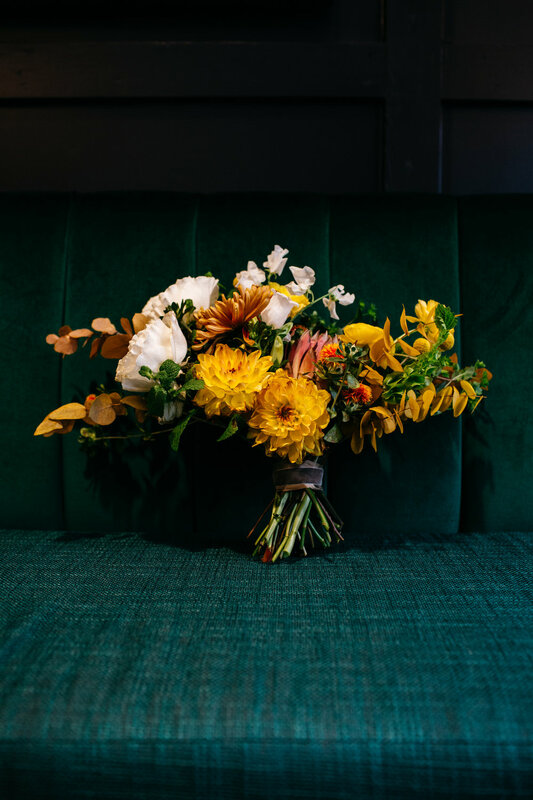 Wes Anderson’s Darjang Limited was the main inspiration for this wedding - from the mustard yellow to the emerald green & all patterns in between! 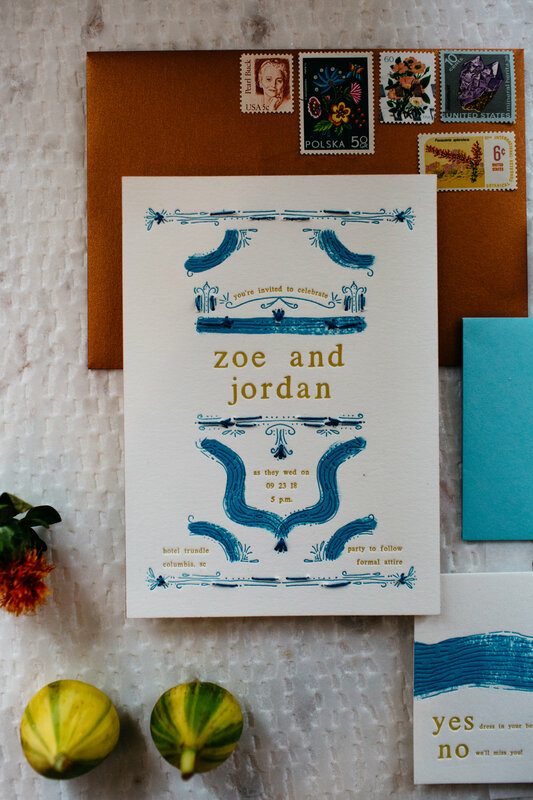 Zoe + Jordan wanted an eclectic, but still formal wedding with lots of texture & color. 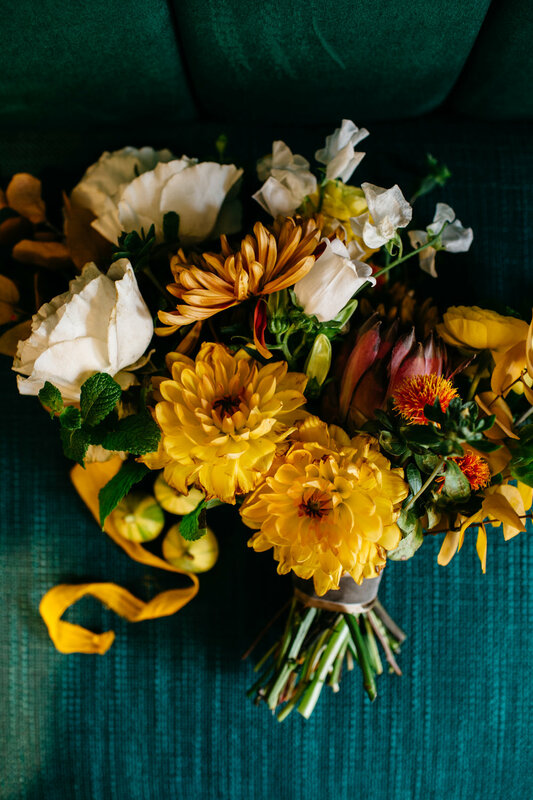 Zoe’s dress was even seafoam green! 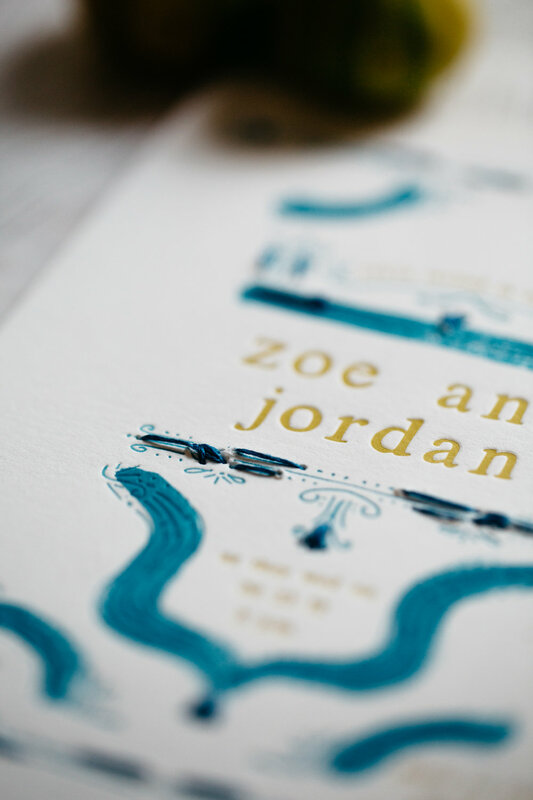 The wedding suite features hand painted elements & hand embroidery seen on the invitation. 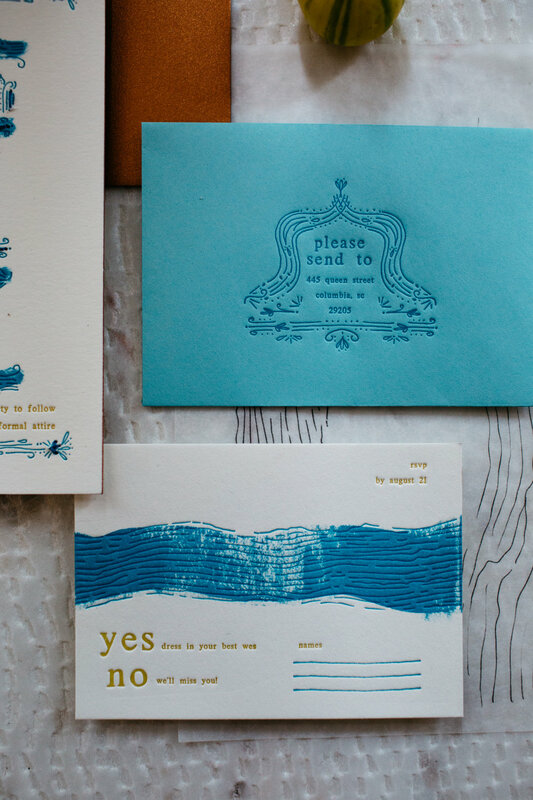 Their wedding invitations are designed with fun & simplicity in mind. 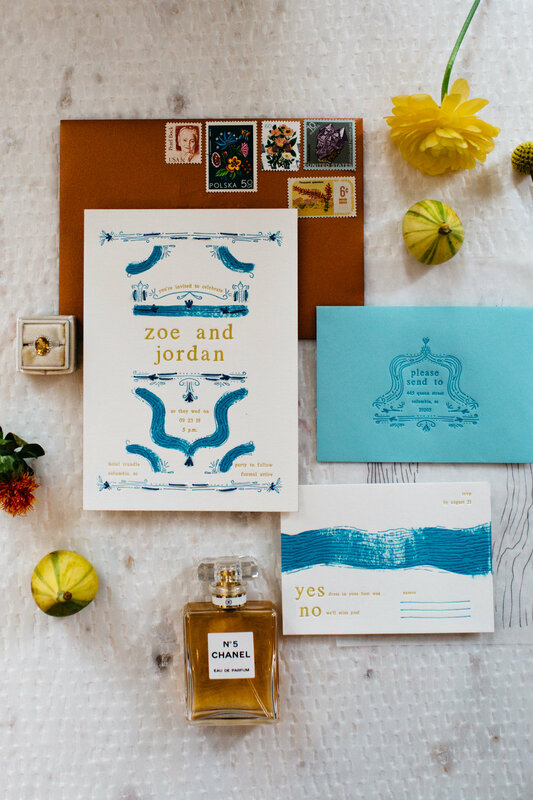 They wanted to make sure the guests understood the attire, atmosphere & feel of the wedding as soon as they saw the invitation suite.